The Dubspot team has returned intact from Austin’s SXSW music festival, and we’ve rounded up our favorite moments in this recap video. 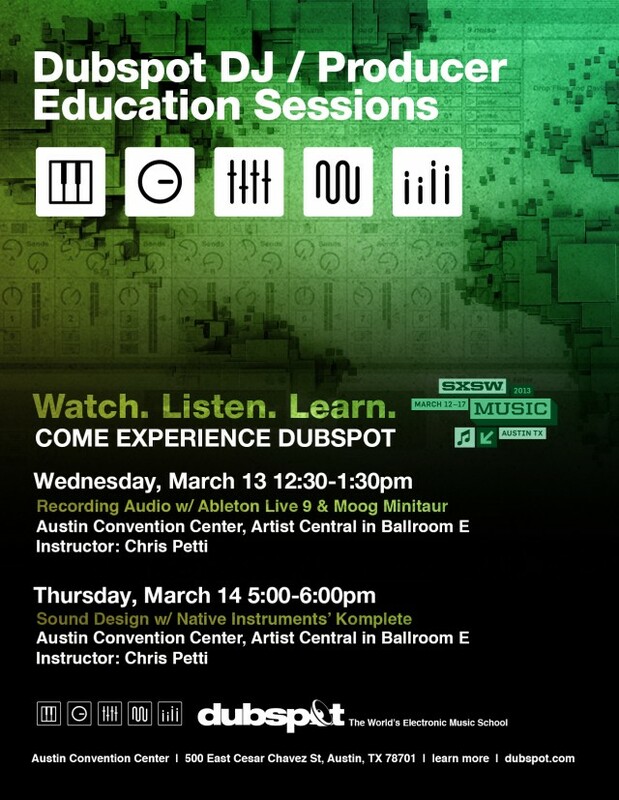 Check out the Dubspot EDU Sessions, Friends of Friends showcase, interviews with Flying Lotus, Daedelus, Reggie Watts and more. SXSW 2013 is officially over, and the Dubspot team had a wonderful time in Austin putting on a series of events, workshops and presentations at the Austin Convention Center. The events were well received, and it was a tremendous experience to be surrounded by people who genuinely love music and are eager to see what’s around the corner for technology. In this video recap, we caught up some of our favorite electronic music producers and artists including Flying Lotus, Daedelus, Reggie Watts, RL Grime, and many more to talk about music technology, production tools and workflow, visual performance, and more. Over the course of the past three decades, Austin’s SXSW (South by Southwest) conference has become one of the world’s premier music and technology events. For SXSW 2013 we assembled a team of educators, creators, and thinkers to present two panels on music production, and partnered with Flavorpill, Microsoft, and Friends of Friends to create several unique events. « New Modular DJ App d(- -)b For iOS/iPad – From the Makers of touchAble!